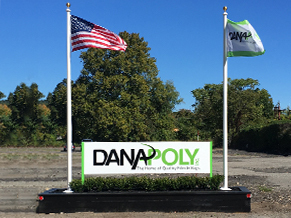 Dana Poly Inc is proud to offer our incredible assortment of plastic bags for various uses. As the premier plastic bag manufacturer in New Jersey, we take pride in our courteous and professional customer service. Our team of plastic product manufacturing technicians create bagging equipment for many industries. And though we are located in NJ, we ship to outlets nationwide. So, no matter where in the US you are located, we can be your supplier of high quality plastic bags. We are a trusted plastic bag manufacturer in the US. We supply and distribute plastic bags for various uses including furniture storage, production and packaging, lining and much more. Our years of experience allow us to provide you with the highest quality plastic bag products for your home or business. Our services include custom color printing, bending and extrusion as well as conversion and consultation on the right plastic film and bags for your situation. As a trusted plastic bag manufacturer in the US, we offer customization for all the plastic bags in our inventory. We understand that different tasks require different specifications. From size to strength to color, we offer our customers many different options. Simply provide us with your specifications and we will take care of the rest! We are New Jersey's leading plastic bag manufacturer. The satisfaction of our clients is our top priority. We will work with you to find the best plastic solutions for your home or business. We ship all of our products across the US, so no matter where you are located, we have you covered. If you questions about any of our products and services, please contact us today. The number to call is: 1(800) 474-1020. We will gladly provide you with all the necessary information for you to make an informed decision.